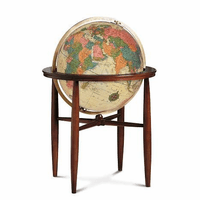 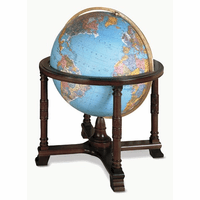 This stunning floor globe features a 16' diameter blue ocean globe, with countries colored in soft shades that delineate the borders. 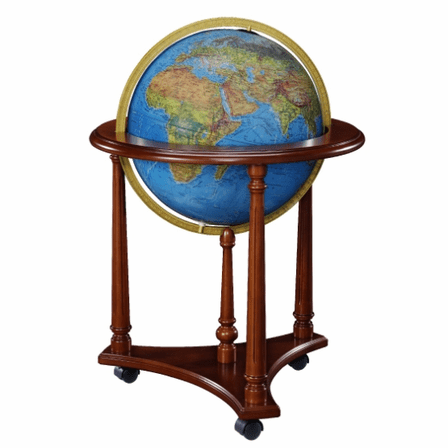 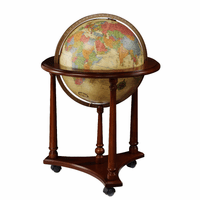 It is set in a full die-cast meridian, and is attached to a walnut-finished base with three carved legs, joined to an ornate three-sided platform, on three easy-rolling casters. 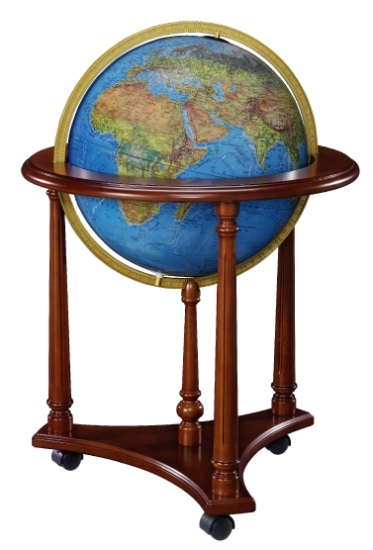 The look of this piece was inspired by Italian craftsmen, offering Old World elegance for home or office. 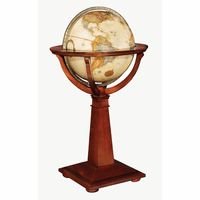 The globe is lighted from the interior, casting a beautiful glow into the room, and illuminating the world at your fingertips!